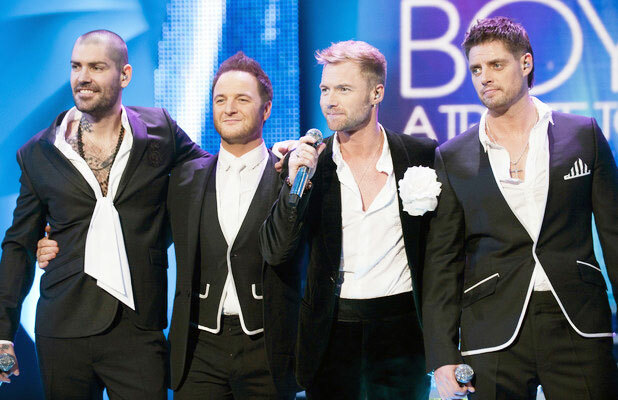 Irish hit machine Boyzone are set to grace the Falls Park this summer when they perform at Féile an Phobail 2014. The Dublin lads signed on the dotted line this week, securing another massive coup for Féile after they signed the Kaiser Chiefs earlier this year for the same festival. But the crowd will be dancing to a different beat when Ronan, Keith, Mikey and Shane will set up shop in the mammoth 5,000-seater marquee on August 2 for what is sure to be a sell-out event. Féile an Phobail Director Kevin Gamble said the office has been buzzing since the band signed up. “It’s one of the thrills of working at Féile an Phobail that you get to make announcements such as this,” he said. “We’re hugely excited to bring one of the biggest boy bands of all time to West Belfast, where audiences will be able to enjoy them in the wonderful surroundings of Falls Park. Combining oceans of boyish charm with slick song-writing (much of it by the bandmates themselves) the group found enormous success in the 1990s with a torrent of hits including Love Me For A Reason, No Matter What, Words and Father And Son. After a six-year break, Boyzone re-formed in 2008 for a triumphant 29-date arena tour and two years later released another album, Brother, in memory of the late Stephen Gately. Last year they hit the road again, packing huge arenas such as the London and Dublin O2s and now they are West Belfast-bound. Féile are expected to announce further big acts to complete this summer’s line-up and with such huge names already on the bill, one thing’s for sure – no-one will be disappointed.